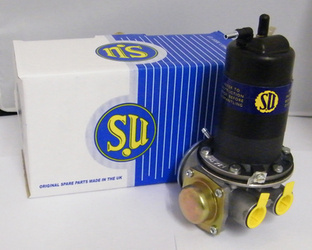 Fully electronic version (no points) of the popular AZX1308 SU fuel pump, 3.8 psi. Looks identical to th original pump. Popular applications include Austin Healey & Jaguar.